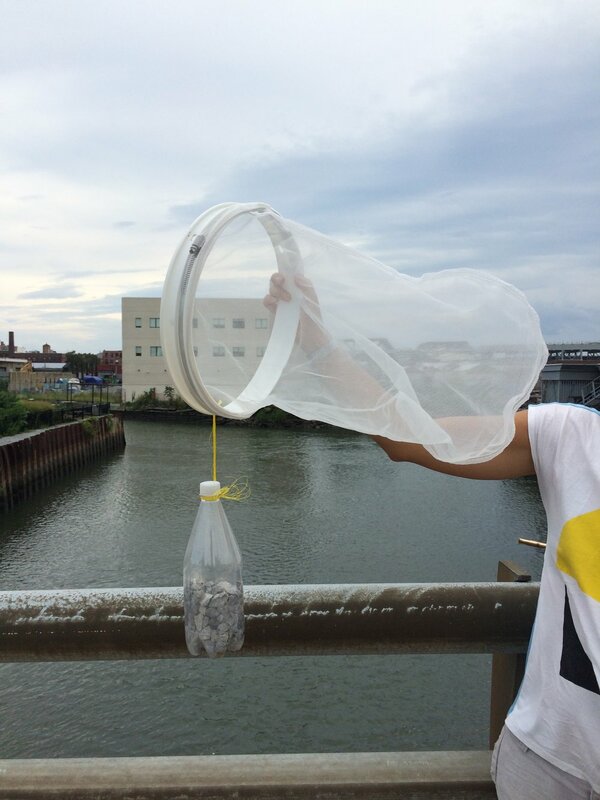 The Testing Our Waters project offers a multi-pronged, design centered approach to reducing the accumulation of plastics in local waterways and international oceans through active community engagement and policy change. We will be designing, aggregating, and hopefully inspiring the creation of Do It Yourself (DIY) trawls for citizen scientists to make and use in their nearby marine environments. Pollution collected in the trawls will be documented via a smartphone application and uploaded to a website platform. Results will build an online engaged community, regularly notify environmental stewards of the problem, and propose policy changes. The re3DP Trawl is designed to be fixed in a strong current or to be pulled by a boat. The trawl is made from two 3D printed components. Future improved versions will be available for open source download and modification. The trawl is designed for dangling from a bridge of other location above the water. Made from a 5 gallon bucket rim and recycled bottle (for weight). The trawl is made from waste steel scrap and plastic bottles. Future improved versions will be to 3D print this trawl out of recycled plastic. The Buoy Trawl is designed to be fixed in a strong current or to be pulled by a boat. The trawl is made from four 3D printed components. Future improved versions will be available for open source download and modification. The Ray Trawl is designed to be fixed in a strong current or to be pulled by a boat. The Hardware Trawl can be made from less than $40 in off the shelf hardware store parts. Designed by Marcus Eriksen, co-founder of 5Gyres.org.